The incident happened at woods next to Lawson Avenue, Banchory. Picture: Google Maps. 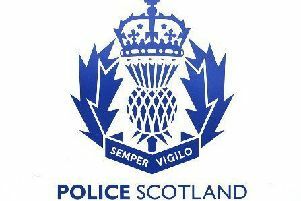 Police officers are searching for man who approached a young boy in a woodland area in Banchory. The youngster was approached by the man at woods next to Lawson Avenue on Sunday (March 12) at around midday. It is understood the man engaged the boy in conversation and a brief exchange took place between the pair. The incident was then reported to officers by a concerned member of public this week. Officers would like to speak to a man who is described as being in his 50s or 60s, around 5ft 6, has grey hair and was wearing brown clothing. Local Sergeant Steve Robertson said: “At this time there is nothing to suggest that anything untoward has happened here, however we would like to trace the man involved to establish the exact circumstances of this incident. “If you were in the area at the time and saw anything which could assist with our inquiries I would urge you to get in touch. “Likewise if you recognise yourself as the man described I would ask that you make contact with us.